TSH Newsroom: Find your niche, and you will find the profit..
Find your niche, and you will find the profit.. The Economy continues to slowly grow, but in some segments we are seeing "pockets of growth" or specialized high growth Niche areas in the sea of steady growth. With 2016 almost gone and the last quarter just around the corner, the question is: How can distributors exploit "pockets of growth" without wasting time and effort on the segments that will remain persistently flat this year? The business climate has changed quite a bit in the last five to seven years to compete effectively, distributors should be pursuing new opportunities, looking for untapped growth markets, and hitting fresh customer segments. While the national economy is undoubtedly in better shape than it was five years ago, the rising tide hasn't necessarily lifted all of the boats. 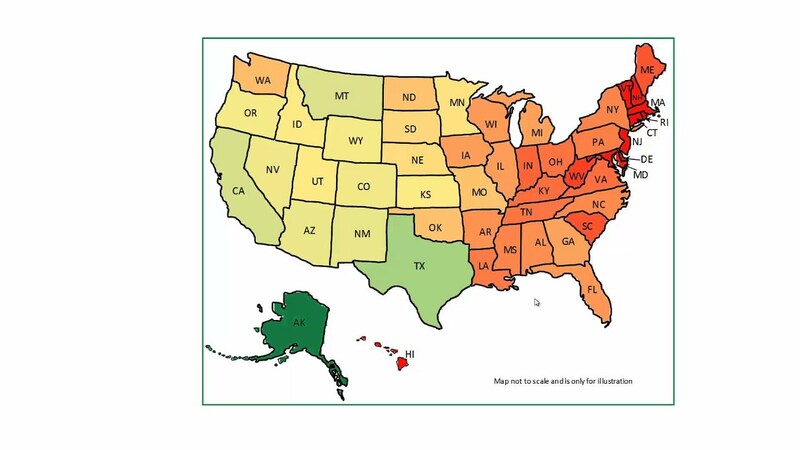 Where health care changes in the Northeast may be fueling with an onslaught of new commercial and industrial opportunities , those in the oil-producing states have seen significant drop-offs in business opportunities and some are actually in a state of stagnation or even depression. This affects the health care space just as much as the rest of the oil industry. Drill down a lot deeper. Break larger geographic regions down into smaller chunks and then divide and conquer;. you might want to invest in a system to help you visualize your sales by geography. Utilize customer segmentation strategies. If you're unsure how to go about dissecting potential market opportunities, try using a customer segmentation strategy. 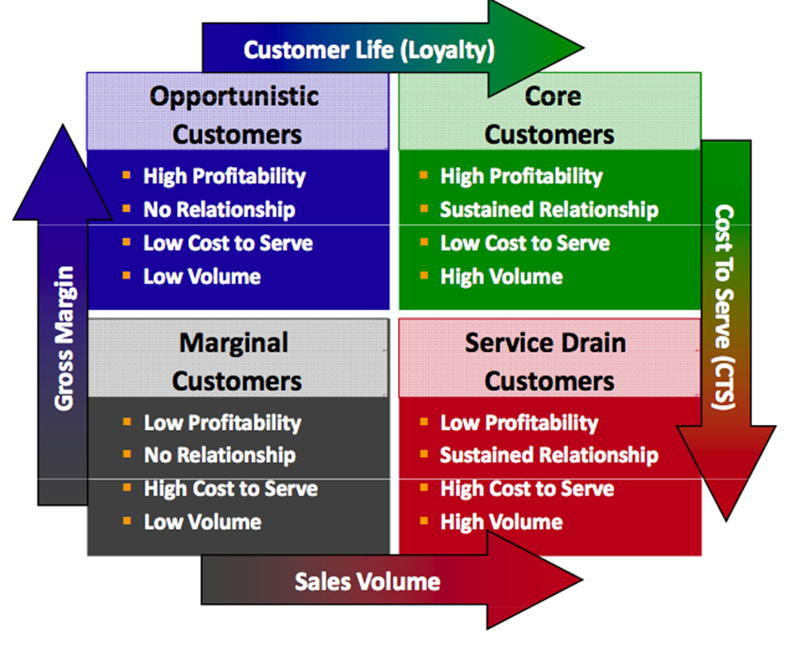 (see graph Below) Defined as the practise of dividing a company's customers into groups relevant to a particular business, customer segmentation helps you decide how to correlate customers within each segment in order to maximize the value of each customer to the business. Don't try to be the low-cost leader. Most business owners refer to this as the "race to the bottom," yet many distributors still insist on signing up for—and participating in—this race. "This is a pretty dangerous strategy to pursue because it's extremely difficult to maintain a cost advantage over time,"
A better approach, is to develop a "niche" strategy by finding one or more customer segments where you can really shine. When selecting niches, distributors should take the time to identify, size up, and research potential opportunities before allocating money, time, and manpower to the effort. "Quantify the niche, determine its size, and look not only at the number of players that are in it—but also how much each one of them is spending," "Then, put together a plan of attack for the niches that show the most potential." Maximize current opportunities. One of the easiest and fastest ways to tap into small growth pockets is by simply selling more to the customers that you're already working with. As an example, Amazon gained huge insights by offering customer's item that others have bought. Use this same algorithm in your system. people who bought "X" also bought "Y". This seemingly small oversight can wind up costing distributors money as their customers turn to other sources for their materials, supplies, and equipment. "Look at all of the possible product and service extensions, and talk to your customers about their day-to-day needs. Ignore your customer and it won't take long for sales to flatten out and opportunities to wane. "The companies that are building customer engagement and selling to them the way they want to be sold to are the market leaders.